equipment from NeilPryde, JP-Australia and Goya. We are looking for windsurfing and sailing instructor for the coming season. If you are interested click here...! July gallery is online now! June gallery is online now! We look forward to meeting you during 2018. This summer you can rent a surfboard at our center and explore the waves of Kos. Let's go surfing around the island Kos! July gallery with lots of action photos is online now! jumps :) Looking forward to see him next year again! Our team wishes you all the best and a lot of wind in the New Year 2016! 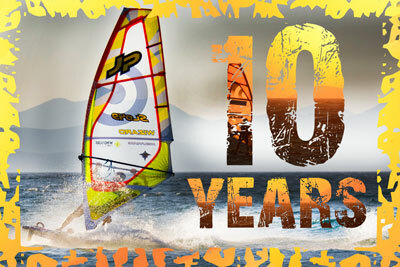 Proudly Celebrating Our 10th Year! Some pics from the awesome week with the slovenian freestyler Andraz Zan SLO49 and his team. Everyone was training hard and improved a lot. Thanks Andraz! Real time wind measurement from our beach. Check the wind online at windguruspot.cz or on our page, choose "WEATHER" in the menu on the left (after selecting language). 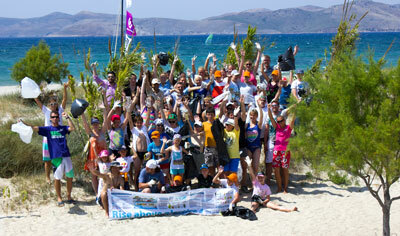 Marmari Beach Clean-Up Vol.2 was successful! Thanks to all who came, it was great support. The beach was already much cleaner then in autumn so we could se the result of our action. Check out photos from the event! 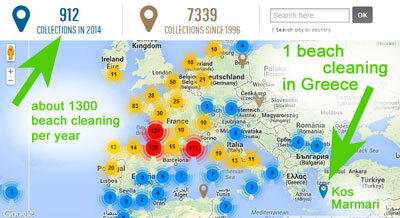 After a successful first clean-up from last year, we organize next one on Saturday 7th June (new date!). Come to help us to keep the beach clean! We meet at 15 o'clock at the center. If you want to join us, you can sign up here or send an email. 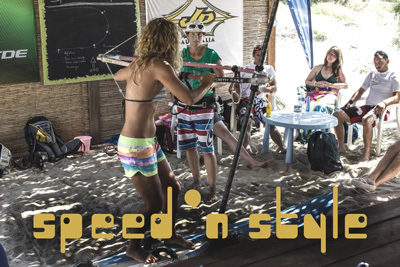 As every year we organize for you some windsurf camps with real professionals. Remko de Weerd H23 is coming to us again, ready to train the youngsters. Followed by young slovenian freestyler Andraz Zan SLO49, who wants to give you all his experiances and skills. Marmari Rookies Vol. 3 by Remko de Weerd: 12.7-17.7. 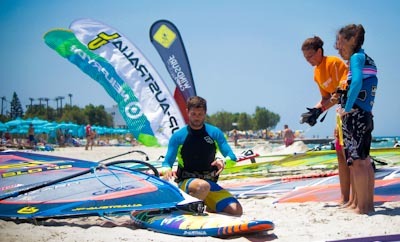 Windsurf Camp by Andraz Zan:19.7-.26.7. For more information please contact us via email. Marmari Rookies are training hard, Remko de Weerd is pushing them to the limit. "Speed'n Style" The Clinic with Karin Jaggi is on and we have since one week constant winds above 18 knts. "Meltemi" Rock's! Special thanks to Spinout SportTours. Check out new pics. 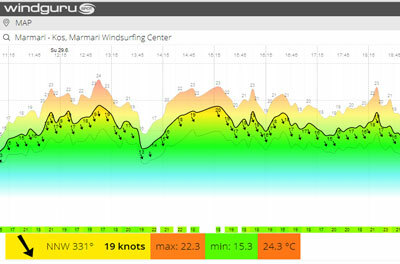 Goya sails and boards, test the new 2011 gear at Marmari Windsurfing Center! We created a Google Map, so you can find our Center and the hotel next to it much easier. Check it out here!